Hibs midfielder John McGinn insists the players are desperate to avoid being subjected to Neil Lennon’s hairdryer treatment again – and prove to him they can play football. Lennon savaged his team after seeing them throw away a lead in Tuesday’s disappointing 3-1 Betfred Cup defeat to Championship rivals Queen of the South. 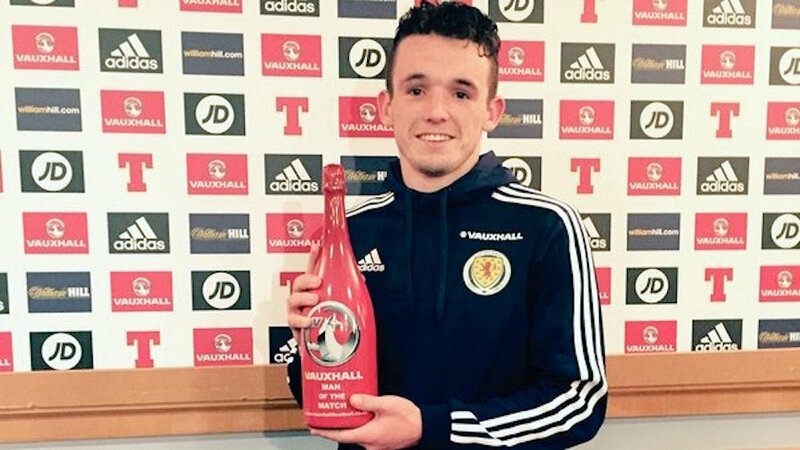 Scotland internationalist McGinn was taken aback by the level of Lennon’s fury and is determined to keep him happy in future. McGinn, who helped welcome the latest intake of Scottish FA Performance School pupils at the new £33 million national performance centre yesterday, said: “He was angry and rightly so. The players were angry too. “We were a shadow of the team who had performed well in pre-season and in our first game against Falkirk. “It should have been over at half-time. We knew the second goal was important and we had a few chances in the first half to put the game out of sight. “But fair play to Queen of the South, they came back at us in the second half and had a go. “So he was entitled to be angry and we’re looking towards Saturday against Dunfermline now to try and make him happy again. “It’s not a side of him I want to see too often. If he’s angry, it’s us not doing our job. “We want to make sure he’s right frame of mind because we’re performing well and getting results. “It’s good to get a kick up the back side, it’s what people need. Asked about Lennon’s remarks concerning Hibs’ ability to pass the ball, McGinn, who was part of the side that was beaten in last season’s League Cup final by Ross County, added: “That’s fair, after Tuesday night anyone could see it wasn’t good enough and it’s up to us to prove the manager wrong and show we are a passing team. 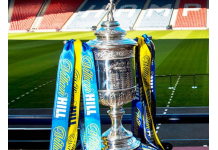 Hibs scored 59 goals in 36 appearances on their way to finishing third in last season’s Championship but Lennon is expecting more from this team in the final third this term, and McGinn admits that has been reflected in their training drills. He said: “It’s something we have been working on. “To win a league or get promoted you need to score a lot of goals. Last season we didn’t do enough of that. “The new management team have tried to instil in us that we need to be more ruthless. “Easter Road was a tough place to go for teams last season so it was disappointing to lose at home. “We need to be a lot more ruthless in the final third and our own box if we want to be successful. “You’ve got crossing and finishing drills, one to one finishing exercises we have been doing. “Then it’s about putting it into practice in games.